If there’s one good thing to come of the recent furore over Edward Snowden’s revelations about the US National Security Agency PRISM system, it’s that the issue of data privacy has been given some serious attention of late. So data is in the public eye for a wee while. All to the good, and it’s great to see the debate still continues. But from practitioner’s perspective, what can we do to make data protection and privacy more actionable within our companies and organisations? According to The Billion Dollar Laptop Study, the average value of a lost laptop is $49,246 with the data breach element equaling 80% of total cost. Even a cursory level of analysis and some critical thinking should be able to identify real-world impacts for your own situation. These types of issue are almost always due to some level of error or systemic failure. In 2011 there were 1.1M identities per breach, with 232M total identities breached. Ponemon Institute and Intel identify that 46% of lost laptops contained confidential data; only 30% encrypted, 10% with anti-theft technology. According to a study by Symantec, bout 65% of employees who commit insider theft have already accepted positions with a competitor. You’ve got to have an up-to-date catalogue of your information holdings. In my earlier post on Information Asset Management, I discuss the need for an Information register as a building block of effective Data Governance. Not only does the Information Asset Management process help drive better understanding of the utility and value of your data, it also supports improved management of privacy issues by helping you understand the nature of your data and identifying which data sets have privacy implications. Organisations have specific obligations to address data privacy matters and provide duty of care in accordance with the relative privacy principles and legislation in their jurisdiction. Personal information (data) that includes details of ethnicity, union membership, sexual preference and/or medical conditions, or as otherwise indicated by the individual as being particularly sensitive. Information (data) that contains information or an opinion about an individual whose identity is apparent or can be reasonably ascertained from the information or opinion. Personal information (data) where the Privacy Commissioner has made a direction to waive or modify the application of one or more of the Information Principles. Information (data) otherwise held that does not meet the above criteria. Easy to say, hard to do sometimes! The questions of ownership and stewardship for data often remain unresolved. This is not just true for the specific aspect of data privacy, but in more general terms of explicit accountability for data. Developing a more flexible workforce. The expectation of “adequate security” should be made with reference to the Privacy considerations noted above (as well as other good data management considerations such as sensitivity, IP and Ethics). Note to that such guidance is equally applicable when considering non-cloud data systems provisioning and application hosting services. The US PATRIOT Act of 2011 asserts claims on data that is either stored on US-located services, or operated by US companies, while additional data hosting issues and effects are raised by law enforcement powers identified within instruments such as the US Foreign Intelligence Surveillance Act (FISA) of 1978, Protect America Act of 2007 and FISA Amendment Act of 2008. First and foremost, it’s really a case of applying the KISS principle – make it easy for people, and they’re more likely to follow through. (For more and entertaining thoughts on simple solutions to difficult problems, see the excellent TED Talk by Rory Sutherland…). 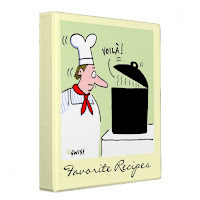 In his recent post "The Data Quality Cookbook", Gary Alleman offers a useful kitchen analogy, likening data quality to the ingredients of a meal. The better the ingredients, the better you eat. However, I'm not sure there are many "recipes" or "menus" for good data quality, at least not yet. To go with Gary's analogy, there are certainly raw ingredients (the data), gadgets (the software tools), cooking techniques (methodologies, processes and guidelines) and cooks/chefs (the people playing the data governance or data quality function). But by and large, the recipes - the specific list the of ingredients, techniques to be applied and the step-by-step instructions that you need to follow to create your meal vary depending on what you're choosing to cook - don't exist. You could make an omelette, fried eggs or scrambled eggs from the same three ingredients of an egg, a splash of water and a little oil. (And even with a nice fresh egg, I could still botch all three meals...) Likewise, you could provide a very good or bad set of forecasts for future business product sales based on the same underlying set of sales history data. And so it is with data quality - the respective "quality" of the data is entirely dependent upon the specific context of its use. So what do you want to cook today? Without some real and detailed recipes, the best we can expect is that the data ingredients being offered aren't too out of date and mouldy, the tools are reasonably new and functional and that the chef really does know his way about the kitchen!